Paul L. Caron, a professor at Pepperdine School of Law, has been selected as its new dean. The tax law scholar also blogs at TaxProf Blog, and owns and publishes the Law Professor Blogs Network. 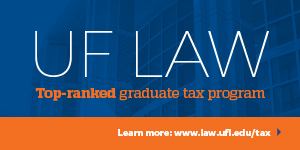 Besides tax matters, the Tax Prof Blog also has many posts on various challenges in legal education. In 2016, National Jurist named Caron the third most influential person in legal education. Caron has not shied away from posting about controversial topics in legal education, including bar passage rates in California and elsewhere. When asked if he plans to continue blogging as dean, Caron said yes. “I plan to keep TaxProf Blog a vital hub for tax and legal education news by bringing aboard a number of other law professors and deans to blog in each of these areas, like the Volokh Conspiracy,” he told the ABA Journal. Yay!! What would we do without the Taxprof blog? Congrats, Paul, on your decanal appointment. This is good news. When deans blog, faculty are less reluctant to blog, and blogs are good for legal education and the area of law on which the blogger focuses. Congratulations, Paul. 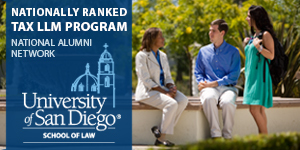 Your appointment is wonderful news for Pepperdine and all of legal education. And, of course, keeping the blog is wonderful news as well. Congratulations sir! Very happy to hear you plan to continue your blog. May God bless you & your college as you go forward in your new role. I predict more assistants to Paul in the future. Congratulations! Congratulations on the appointment. And thank you so much for continuing the blog. Sincerely appreciated. Congratulations, Paul. I wish you all the best in your new position. I am delighted to learn that you will continue the blog. Congrats and thanks for continuing this public service. Congratulations (again) and thank you for continuing the blog! The Caron Conspiracy. I like it. Think about bringing on a law firm, especially a small one. The law firm can capture more private benefit from the blog and will thus have much stronger incentive to keep up with the continuous hard if rewarding work that a blog like this entails. The law firm won't mind letting you keep absolute authority (usually unexercised, one would hope) so long as they get the publicity they deserve. Thanks so much Paul. This is one of the few blogs I follow, even though I'm no longer an academic. Interest in tax policy dies hard. 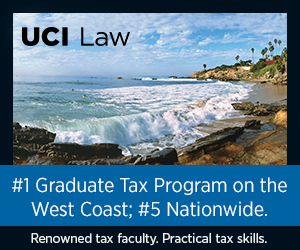 Taxprof provides a great public service, at no cost. Congratulations, blessings, and thanks.